One of the Foundation’s most critical missions is providing funding to small sustainable farmers who can’t get traditional financing. 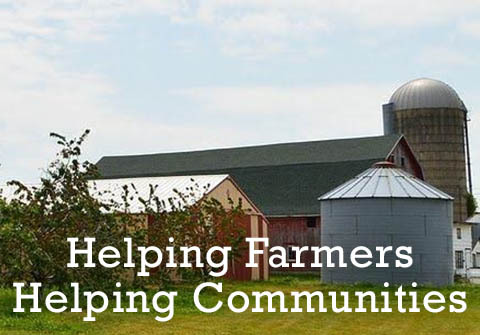 With our grant and loan projects, we can assist in their important endeavors. 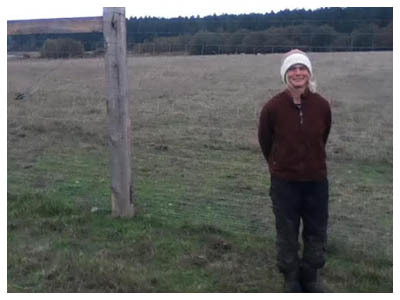 "Earlier this year, we received a grant from HumanLinks Foundation to build a deer fence around a 9 acre field of our farm. This new fence will serve us in several ways, keeping the local deer population from devouring our grain, vegetable, and cover crops, and providing sturdy perimeter fencing to support the rotational grazing of our cattle, pigs and chickens. The fence is a tool that will enable us to farm with the care and precision that we strive for, while also being a form of insurance in this farming business that is otherwise riddled with risks. It is a key piece of infrastructure that, without HumanLinks’ help, I don’t know when we would have been able to make happen. Through the process, we got to know HumanLinks a bit better, and discovered an organization that is truly dedicated to making the changes they believe in: a more equitable, healthy world in a lasting, sustainable way. They not only stand behind sustainable agriculture, they put their backs to the wheel. As young farmers in our third year of a twenty year farmland lease, they have helped us to overcome the formidable challenges of building our farm, making it more possible for us produce more and better food, and to farm with intention for our community, our planet, and our future". 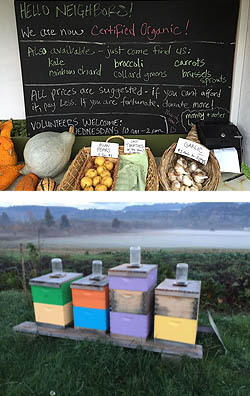 "Thanks to the generous support of the HumanLinks Foundation, our farm has been able to become Certified Organic this year, put in beehives and flowers to support native pollinators and honeybees, cover crop our fields, get sturdy canopies and bins for our farmers market, plant perennial fruit and berry plants, and start growing our own seed garlic. With this help, we have been able to employ more veterans, teach more volunteers, build a stronger community, take better care of our ecosystem, sell more food at our V.A. hospital market, and donate more produce to food banks. We are so grateful!" "With this grant we were able to educate students and adults from a variety of socio-economic backgrounds and ages about the importance of riverine water quality protection, establishing pollinator and wildlife habitat, and how sustainable farming practices are good for crops, the environment and the bottom line. Educational experiences included farm field trips for over 200 people in coordination with the Annual Meet Your Farmer event, Elementary school group field trips in coordination with Yakima County Schools and the Mid-Columbia Fisheries Enhancement Group, and additional planting projects with Leadership Education for Three Rivers Scholars (LETRS), a group of young women (14 to 16 years old) hoping to change the world! We were also able to achieve Salmon Safe certification. With the establishment of shoreline groundcover plantings, new pollinator shelterbelts and the on farm educational events we have made measurable impact on the environment and attitudes towards sustainable farming practices in the Yakima Valley and Columbia Basin".